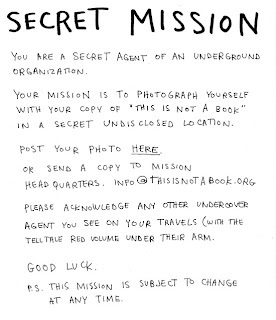 Continuing my 'This is Not a Book" adventures by randomly opening the book and doing as I'm told, today I competed page 126 - This is an Underground Organisation. So off I went to my super secret location (I was tempted to imply that I had some sort of secret lair, but sadly I am not a Bond villain from the 1970s). Here is the result!